A stay at Platinum City Serviced Apartments places you in the heart of Melbourne, within a 10-minute walk of Melbourne Central and Queen Victoria Market. 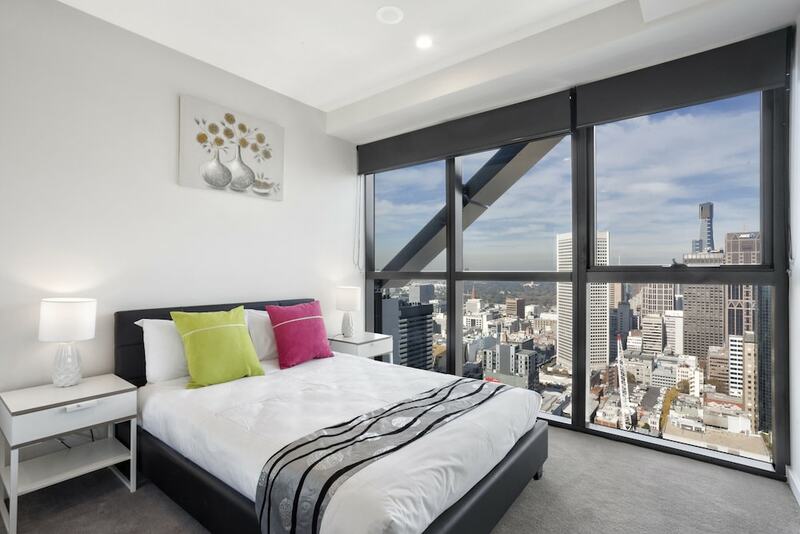 This 4-star apartment is 0.5 mi (0.7 km) from Bourke Street Mall and 0.4 mi (0.6 km) from RMIT University. Make yourself at home in one of the 34 air-conditioned rooms featuring kitchens with full-sized refrigerators/freezers and ovens. Flat-screen televisions with cable programming provide entertainment, while complimentary wireless Internet access keeps you connected. Conveniences include laptop-compatible safes and desks, and housekeeping is provided on a limited basis. This smoke-free apartment has 41 floors in 1 building and offers discounted parking nearby. Amenities include offsite parking.